Long before fake news, there was financial news. And statistics. And analyst ratings. Have you ever noticed the financial news with tickers and flashy charts looks a lot like the inside of a casino with the lights and bells going off when someone wins. Casinos don’t play the gong music when people lose, it would be going off all the time and might detract people from playing. Casinos stay pretty busy most of the time, but the markets really get going near the top of bull markets. It’s kind of like the lottery pulling more people in the higher it goes. And boy is this market pulling a lot of people in. The question is when will it be time to sell. Some say never, just “buy and hold” – good luck with that. Some say when there are signs of a recession – but the stock market leads the economy, not the other way around. Some say when the market becomes over-valued, but it often puts in its best gains for a few more years after it hits the over-valued mark. Sorry, this article will not answer when to sell the TSP funds. I’m writing about what to expect in the future whenever the future I am talking about arrives. Unlike the mainstream financial media my goal is not to keep you playing and paying . It is to keep you thinking and help you make better decisions with your nest egg. Unlike most writers on TSP funds, I don’t spend much time looking in the rear view mirror. You know, like “the TSP S fund was up 2% last month, blah, blah, blah”. We need to look out the windshield and see what’s ahead of us. And I do that with the help of others who drive with their eyes wide open – there are some out there. Let’s start with my favorite valuation guru – Dr. Hussman. Dr. Hussman prefers to look at the market from the perspective of future returns instead of valuation calls. If you are okay earning a total annualized return the next 12 years of say 1% in the SP500, then the market is not very over-valued to you. If you are expecting 6-8%, then you are historically challenged. It’s not good to be historically challenged for too long. Don’t mistake the chart above for the SP500 index. It is the ratio of the SP500 price or market value to variables such as SP500 revenue, averaged earnings, GDP, etc. I added a few comments to Hussman’s chart to point out that in every bear market since 1947 these measures returned to at least 25% above their historical mean (the black horizontal line). And since we are sitting over 150% above the historical mean in every measure, we would expect the next bear market (whenever that may be) will see these ratios drop by at least 50%. Yes it could happen third time in 20 years since they really did not fix anything except wall street’s balance sheet after the financial crisis. Remember I said Dr. Hussman likes thinking in terms of future returns. Here is one of those measures converted to future returns (blue) with the red line showing how closely the market followed the model. Uh Oh. It looks like even 1% is asking too much. Most of his models have us with a total return of minus 2% annualized the next 12 years in the stock market. There have been occasional deviations of up to 5%, but the market usually comes in within 2% of these models predictions. What caused the larger deviations? Over-confidence. The 2000 bubble and today’s market are accompanied by consumer euphoria, so on top of everything else investor sentiment is pretty high right now. This in part explains the extended 2000 bubble and today’s extended bubble. But should investors be euphoric today? I don’t mean to rain on the parade, but the SP500 is on its way to becoming a junk yard. Where did all the AAA rated companies go? You can not take on too much debt and remain AAA. And you can not take on this much debt and remain “investment grade” during the next downturn. During our current “recovery” half of investment grade corporate bonds have slimied down to one notch above junk – BBB – waiting for the dam to break. So why did these companies leverage up to the hilt and destroy their credit ratings? To invest in extra future production – oh no. To buyback corporate shares and drive their stock price into the stratosphere – of course. CEOs only hang around 6 years on average these days. First the bond funds. What happens when a company is downgraded from investment grade (BBB) to junk. All the “investment grade” mutual funds and ETFs are forced to sell those bonds. Pensions and insurance companies will not hold the stuff. As for the company, their cost to finance skyrockets since junk bonds require much higher interest rates. Okay, not a big deal when this happens to one company. But in a recession, a big chunk of those BBB rated bonds will become junk and force a whole lot of selling. And who buys junk bonds in a recession. In order for bond funds to unload the new junk, they may be trying to sell into a vacuum. This is how crashes happen. So what about the stock prices. Well, if you couple a profit recession with high interest payments to rollover debt, then you have a pretty good storm coming with a big chunk of the market. But it gets better. In their effort to shut the barn doors after the animals already got out, Congress passed a tax plan that limits the deduction of interest on debt for corporations. You know, to reduce all the bad practices that have already happened. Now this will only hit corporations that have too much debt – which appears to be most of them. And without this deduction, their tax bill goes up and their after-tax profits go down. A perfect storm for the stock market. The fact is we have been in the eye of the hurricane since the last financial crisis. A large part of the corporate profits bouncing back was actually the reduction in interest expenses gifted to corporations by the federal reserve’s manipulation of interest rates below inflation. David Stockman (Reagan’s former budget director) tells us that about 80% of the SP500 profit growth from 2007 to 2017 was due to lower interest expenses. 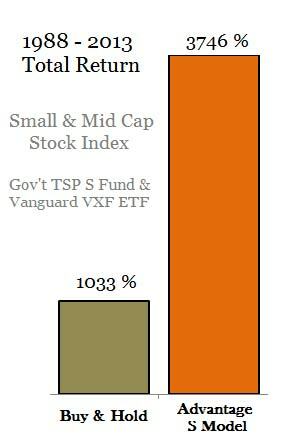 You saw it in the TSP G fund. Your kind transfer of your G fund’s interest rate boosted corporate profits significantly until corporations started piling on debt and sent their interest expense back up (red line). The green line show the lack of corporate profit growth from late 2011 until recently which corresponds to higher interest payments. Note the US stock market (black line) is not correlated to profits in green, but seems to be more correlated to debt in red. The transmission was through stock buybacks with debt. But guess what that interest expense is going to do as corporations (even investment grade) have to roll over their debt at higher interest rates. Expect a significant long-term drag of profit growth as interest expenses skyrocket far larger than their recent corporate tax gift. Not to get off subject here, but the massive budget deficits that come with the tax cuts is what will force higher interest rates. The greater supply of government debt will require higher interest payments to bring in demand. That demand will have to come from somewhere… like maybe from funds invested in the stock market! So if you are wondering how stocks got to these levels, three factors stand out: Low wage growth and reduced interest expenses led to higher profit margins, and massive corporate buy-backs with debt provided the bulk of new funds flowing into the stock market. If you want to know why we are going to come off the highest market valuations in history: higher wage expense, significantly higher interest expense, and the end of corporate buy-backs is a good start. And none of these factors require a recession. When is this going to happen? Slowly, then faster than you can imagine. PS. I want to thank everyone for all your “likes” and “follows” on facebook and twitter, etc. I really appreciate the support. We watch bond credit spreads to determine when risk-sensitive bond investors throw in the towel. Most often, this proceeds stock market sell offs. When we see this happen we send out market warnings to our members. Remember, the more richly the market is valued, the larger the losses are in bear markets.